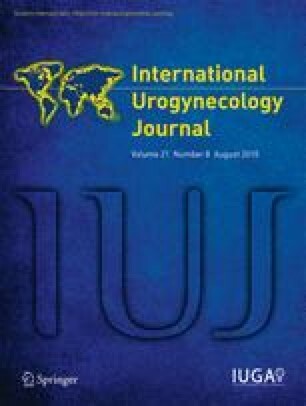 The aim of this study was to explore potential molecular mechanisms contributing to the pathogenesis of Hunner’s ulcer type interstitial cystitis (IC). Dataset acquisitions from Gene Expression Omnibus under platform accession no GSE 11783. We compared global gene expression profiles in bladder epithelial cells from IC patients with Hunner’s ulcer corresponding to normal controls. We re-sampling and exploit the correlation structure presented in the dataset through the transcriptional response. For each patient, two bladder biopsies were studied, one from an ulcer area and one from a non-ulcer area. RNA was extracted, and all labeled samples were hybridized to Human Genome U133 Plus 2.0 Array (Affymetrix, CA, USA). The Mahalanobis distance in hierarchical cluster analysis revealed a model of 40 genes expression which is increased in IC and ulcerated IC. Our results can be summarized as follows: First, the expressions of major histocompatibility complex (MHC) class IF and II molecules, leukocyte immunoglobulin-like receptors, hepatitis A virus cellular receptor 2, and interleukin 32 were increased in bladder epithelial from IC and ulcerative IC area. Next, there is an indication of antigen-mediated aggregation of the high-affinity Fc epsilon and gamma RI leading to allergic inflammation through the disease status. Third, the high-affinity Fc gamma RI subunit facilitated T-cell-mediated immune response through the disease status. Such changes, jointly termed “bladder remodeling,” can constitute an important long-term consequence of Hunner’s ulcer type IC. Our results indicate that genome-based expression profiling can be used for the diagnostic tests of Hunner’s ulcer type IC in clinical practice. Ling-Hong Tseng and Ilene Chen contributed equally to this paper. L.H. Tseng wrote the paper; I. Chen developed analytical tools, analyzed data, and wrote the paper; C.N. Wang and Y.H. Lin validated the results; C.Y. Lee and L.K. Lloyd supervised the project.